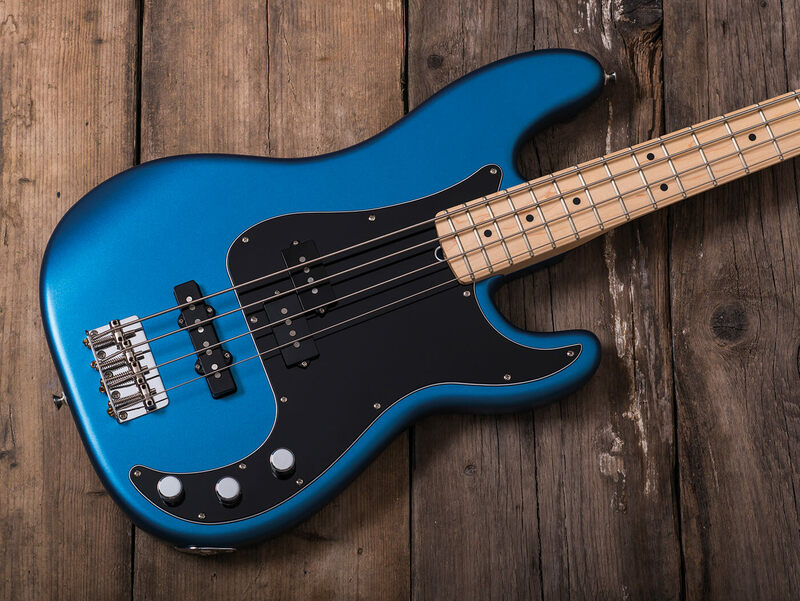 There are bass options galore in Fender’s new American Performer line, with three of the nine models geared towards lovers of low end. 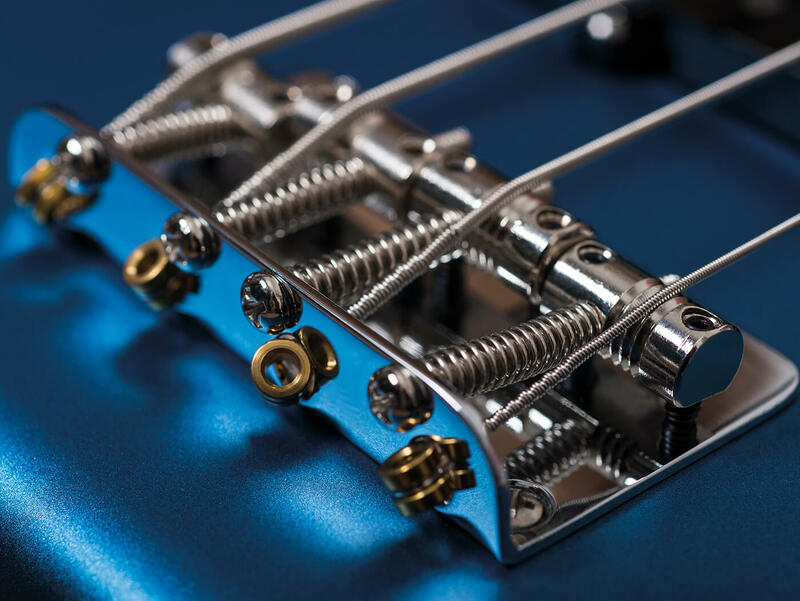 As well as Jazz and Mustang Basses comes the American Performer Precision, armed with the versatility of a PJ pickup set and available in Three-Colour Sunburst, Arctic White and Penny gloss polyurethane finishes along with our review model’s Satin Lake Placid Blue. The neck has a satin urethane finish that’s sleek and drag-free, while the ‘Modern C’ profile’s depth fattens out nicely to a full inch at the 12th fret. 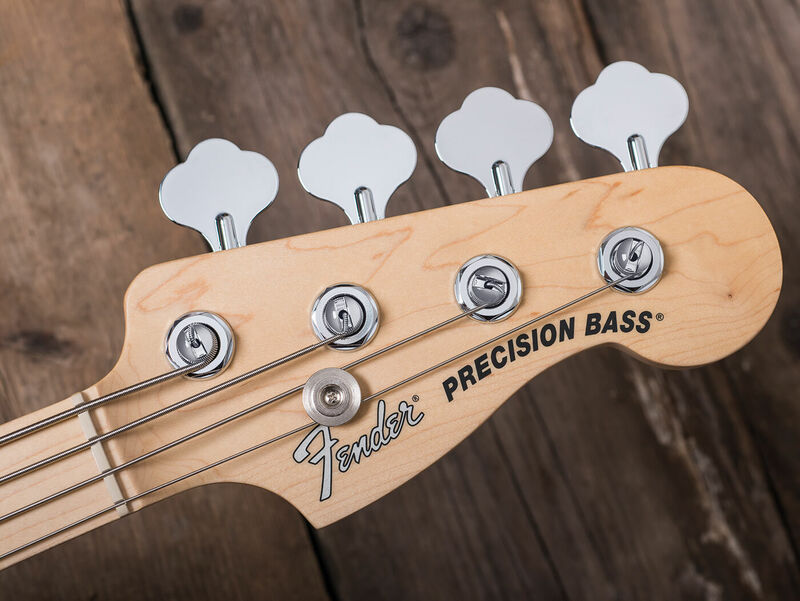 The 41.8mm nut width falls nicely between the chunk of a ’50s Precision and a skinny ’60s Jazz Bass and the overall package is fast and fatigue-free. Plugging in, the PJ configuration enables you to dial in everything from a dubby throb to driving rock, abrasive punk, funk and more. There’s a great balance of depth, punch and attack and the Greasebucket tone control retains definition nicely.